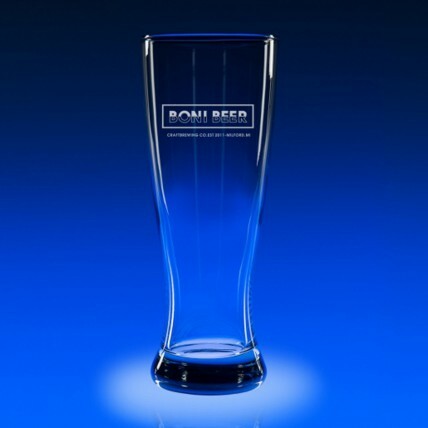 Create your own personalized set of Engraved Pilsner Beer Glasses for your next beer tasting event! 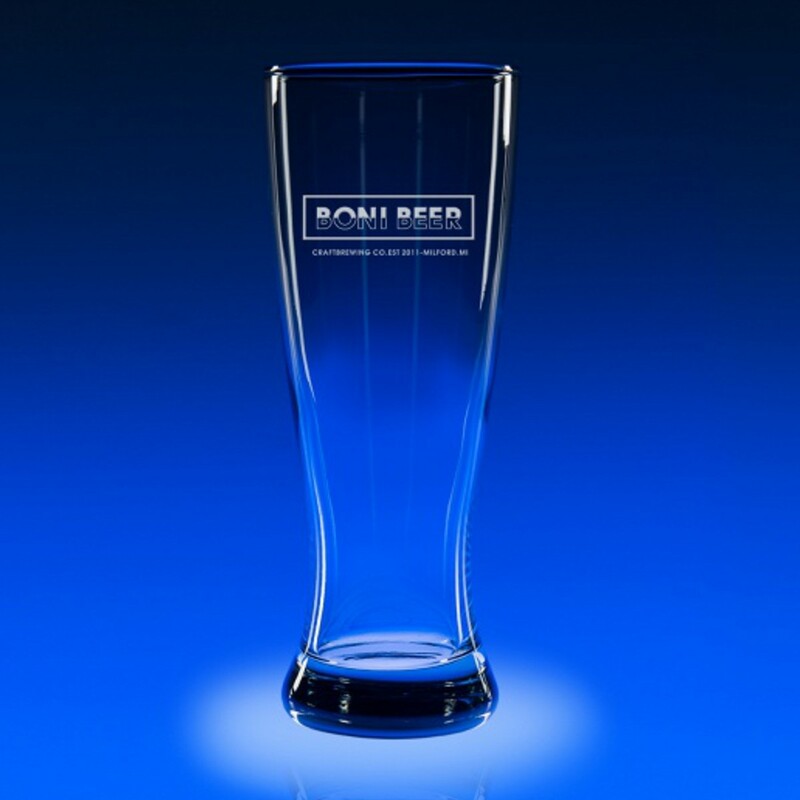 With a tall and elegant shape, these glasses feature clear, sparkling glass, deep etched with your logo in frosted letters for free! Each glass holds 20 oz of your favorite brew; size is 8" tall x 3" wide. Price includes set of 4 glasses. Ordering More then 1 Click Here For Large Order Quote!